The RJC release an annual progress report detailing its accomplishments and the impact of its work during the previous calendar year. Click below to read the most current and previous reports. 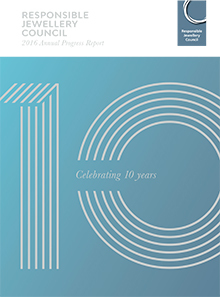 The 2017 Annual Progress Report, launched during the 2017 AGM in Pforzheim, Germany, reflects the RJC’s accomplishments and the impact of its work during 2016. The report highlights the RJC’s ongoing work across membership growth, certification benchmarks, standards development and auditor engagement. Highlights include a detailed overview of RJC certification and its global reach, our work on harmonisation and cross-recognition of other standards within the industry and RJC member testimonials on how RJC membership and certification has helped their businesses. To view the online e-book, please click here. 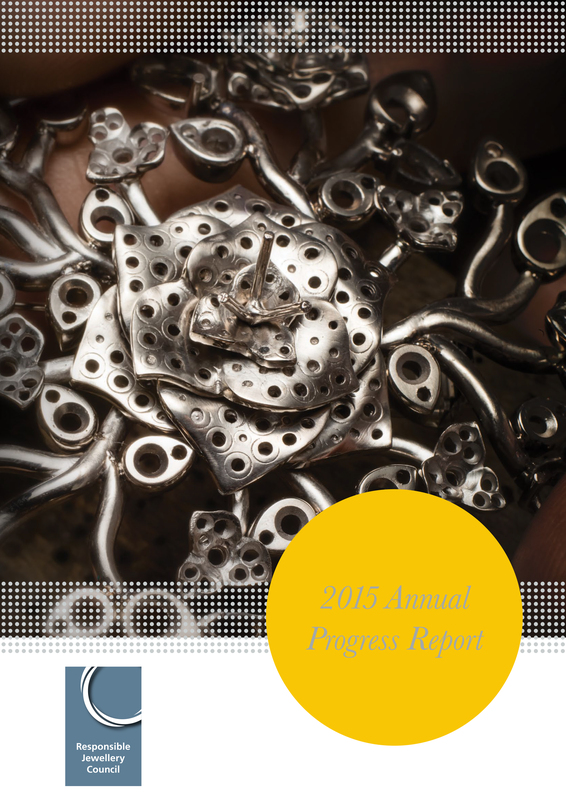 The 2016 Annual Progress Report, launched during the 2016 AGM at JCK Las Vegas, reflects the RJC’s 2015 accomplishments and illustrates it’s ongoing work across membership growth, certification benchmarks, standards development and auditor engagement. In addition, the report celebrates the first 10 years of the RJC with a journey down memory lane as we take a look back at some of the RJC’s greatest achievements and accomplishments throughout the years. In 2014, the RJC was focused on further entrenching its 2013 Code of Practices (COP) into the certification process of our Members. This second incarnation of the COP added two important pillars – Provenance Claims and Human Rights provisions. Both of these provisions have been well received by RJC’s global membership. 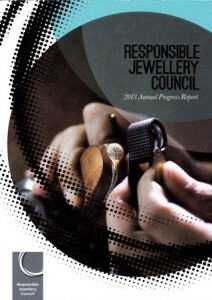 Another key breakthrough was RJC’s outreach to the Indian diamond and jewellery trade. 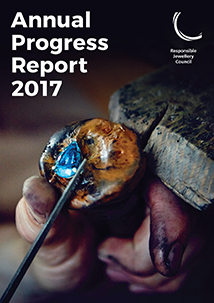 The 2015 Progress Report reflects the past year’s accomplishments and demonstrates the RJC’s continuing work across membership growth, certification benchmarks, standards development and auditor engagement. In 2013, the RJC reached a milestone with the launch of the RJC’s new Code of Practices, after a comprehensive consultation and review process with industry and stakeholders. In 2014, we are focusing on messaging the benefits and positive impacts of RJC Certification and supporting implementation of responsible practices by our Members and partners. 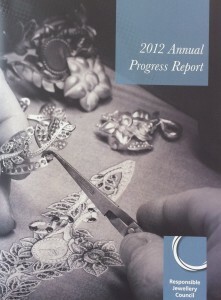 The 2013 Progress Report reflects the past year’s accomplishments and demonstrates the RJC’s continuing work across membership growth, certification benchmarks, standards development and auditor engagement. “The RJC shares two distinguishing features that set it apart from other bodies – it offers its members the ability to certify their business practices against a rigorous standard, while also fostering a platform of engagement both within the mine to retail model and with the external stakeholder community. We are now entering the next phase of the RJC’s role in the industry, where our focus will be to join up more members across all sectors, so we may make a indelible mark of ethics and synergy in years to come,” says Mr. James Courage, RJC Chairman. In April 2012, the RJC launched its first Annual Progress Report, profiling the development of its comprehensive member certification system and highlighting the Council’s multi-stakeholder dialogue processes and its partnerships with important organisations. 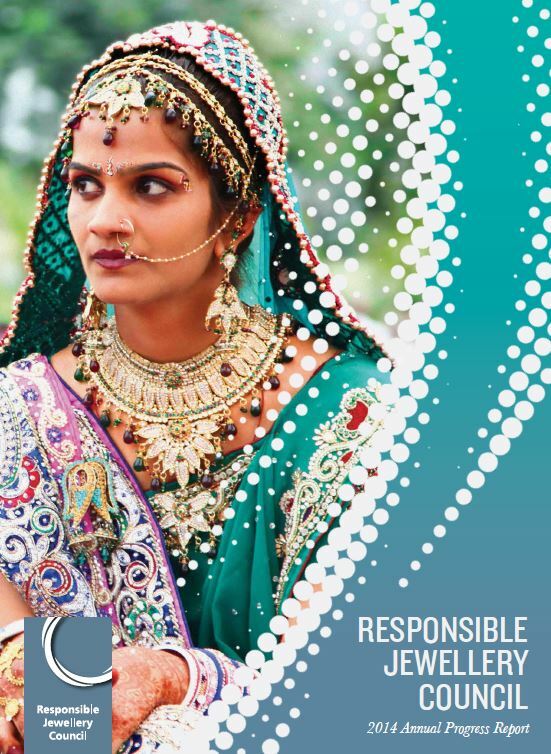 The 16-page report summarises the accomplishments to date and the experiences of RJC Members in pursuit of their goal of promoting responsible ethical, human rights, social and environmental practices throughout the industry, from mine to retail.